We decided to bring in some fresh genetics for our micro flock of Ancona ducks. Our three new baby ducklings (a male and two females, if the people who check these things are correct) arrived this morning at the local post office. They’d had a long, 2-and-a-half-day trip in a cardboard box from Cackle Hatchery to get to us, so I raced to pick them up and bring them back to the brooder box we’d set up. Our babies are settling in well, eating and drinking and peeping. We set up a Nest camera (Nest is actually the brand name of the camera, that wasn’t just a lame pun) to live stream the duckling action, and I figured some of you guys might enjoy seeing them grow. That. Is. Awesome. Better than April the Giraffe? Welcome back, E.
Hurray for baby ducks! Hurray for hearing from Erica!! The video is working and it’s adorable! Quick, flip that one little duckling over! It’s down! Not the feathery kind either. I was ready to watch some baby ducks, oh well. Try again…it sometimes had a moment, particularly if you’re accessing on a mobile device for some reason. Hmm, yeah – it loads on safari, but not on chrome (58) on linux or osx. Error is: VIDEOJS: ERROR: (CODE:4 MEDIA_ERR_SRC_NOT_SUPPORTED) No compatible source was found for this media. Huh, but then hitting reload a few times to try and see if I can diagnose further, it just loads fine. So maybe that’s all I needed to do. Yup exactly the issue I’ve seen. On Windows and iOS too. I’m not sure if it’s client platform related but rather something with Nest’s backend/CDN. Thanks for persevering. 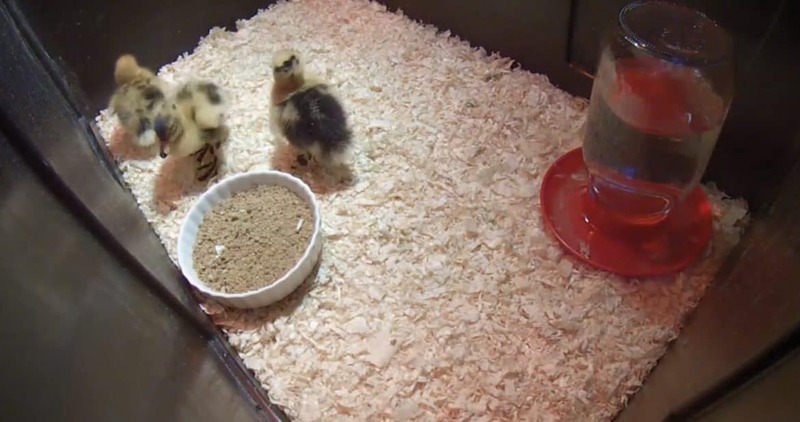 Just in time for Earth Day live streaming baby ducks. Oh my gosh they are cute at night, nudging each other, trying to get all settled in. Aw, didn’t work for me but then neither did any of your older ‘printable’ pdf’s of gardening aids. I will try again and cross fingers for better luck. Glad that I did mange to download some of the pdf’s for larder storage lists, etc. Hope that all the others are not lost.